On November 16, 2016, KPMG, a global network of professional firms providing audit, tax and advisory services, and CB Insights released a financial report entitled “The Pulse of Fintech: A Global Analysis of Fintech Venture Funding.” Their report provides an excellent overview of what happened in Fintech investing worldwide for the 3rd Quarter of 2016 and makes predictions for Fintech in 2017. 1. Equity crowdfunding: Platforms that allow a collection of individuals to provide monetary contributions for projects or companies in the form of equity, such as Jumpstart Micro. 2. InsurTech: Companies creating new underwriting, claims, distribution and brokerage platforms, enhanced customer experience offerings and software-as-a-service to help insurers deal with legacy IT issues. 3. Lending tech: Primarily peer-to-peer lending platforms, as well as underwriter and lending platforms using machine learning technologies and algorithms to assess creditworthiness. 4. Payments and billing tech: Payments and billing tech companies span from solutions to facilitate payments processing to payment card developers to subscription billing software tools. 5. Personal finance and wealth management: Tech companies that help individuals manage their personal bills, accounts and/or credit as well as manage their personal assets and investments. 6. Money transfer and remittance: Money transfer companies include primarily peer-to-peer platforms to transfer money between individuals across countries. 7. Institutional and capital markets tech: Companies either providing tools to financial institutions such as banks, hedge funds, mutual funds or other institutional investors. These range from alternative trading systems to financial modeling and analysis software. 8. Blockchain and bitcoin: Companies here span key software or technology firms in the distributed ledger space, ranging from bitcoin wallets to security providers to sidechains. – This breaks down to 96 deals in North America for $0.9B in funding; 38 deals in Europe for $0.2B in funding; and 35 deals in Asia for $1.2B in funding. Overall, KPMG concludes that “while VC-specific funding in isn’t expected to exceed 2015’s peak investment levels, total funding to fintech companies is on track to exceed 2015 totals. The future of fintech remains positive from an investment perspective, with an uptick expected in 2017, if not in Q4’16. Investors are expected to become more confident as the immediate ramifications associated with Brexit ease and uncertainties in the U.S., especially with regards to the election, stabilize. Earlier this year, a similar study by Accenture, a leading global professional services company providing a broad range of services and solutions in strategy, consulting, digital, technology and operations, concludes much the same. Accenture called what’s happening in the Fintech sector a “Fourth Industrial Revolution, a global phenomenon in which “new innovation and digital companies (will) compete and collaborate with traditional financial services.” They found that global Fintech investment grew 75 percent in 2015, exceeding 22 billion dollars. – “Global investment in financial technology (fintech) ventures in the first quarter of 2016 reached $5.3 billion, a 67 percent increase over the same period last year, and the percentage of investments going to fintech companies in Europe and Asia-Pacific nearly doubled to 62 percent. – The number of ‘big ticket’ deals in the global fintech sector is growing. In 2015, there were 94 fintech deals larger than $50 million, compared to 52 in 2014 and just 15 in 2013. 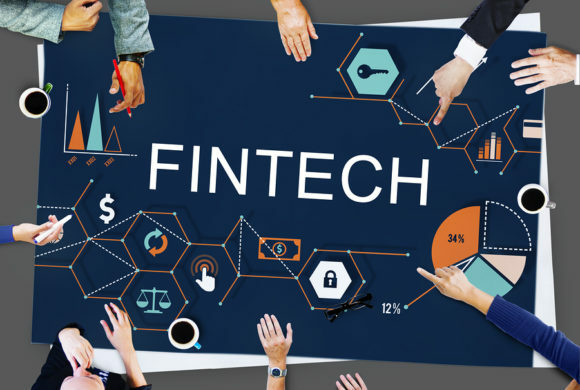 Based on the research, Fintech companies, such as Jumpstart Micro, are positioned well for growth as investors and consumers rush to take advantage of the convenience and innovation that technology can offer within the business finance and personal finance arenas.